Come and join us for a riotous weekend of colour! 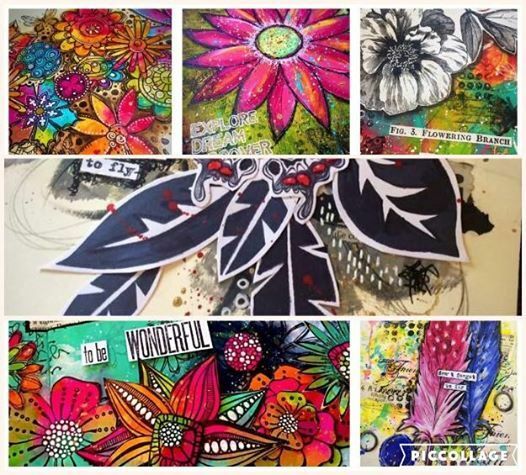 Tracy is a UK based mixed media artist well known for her bright, bold and funky style. 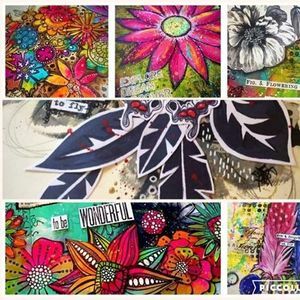 Tracy designs rubber stamps and stencils for PaperArtsy and her techniques can be used in journals, cards, scrapbook layouts, altered art, and mixed media projects. 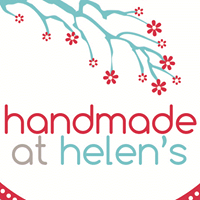 The workshops will be at a relaxed pace, and full of fun. 0900hrs - 1600hrs with 1 hour for lunch. £140 per person. * The photos shown are an example of Tracy's artwork, and not necessarily representative of what you will create during the weekend. Lunches and refreshments are included in the cost of the workshops. Most materials will be provided - a student supply list will be given around one month before the workshops.